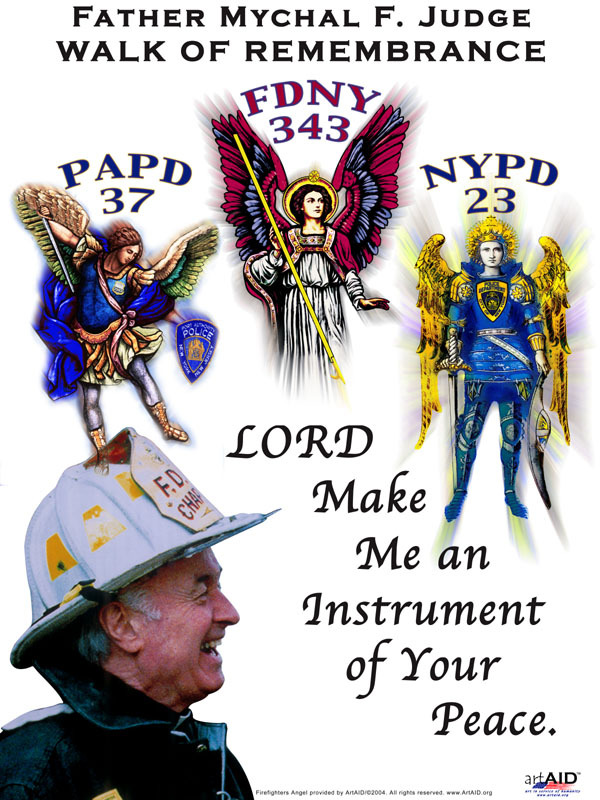 ArtAID partners with Fire Family Transport for Annual Mychal Judge Walk of Remembrance. NEW YORK --SEPTEMBER 5, 2004. On Sunday, September 5, 2004, ArtAID participated in the 1st Annual Fr. 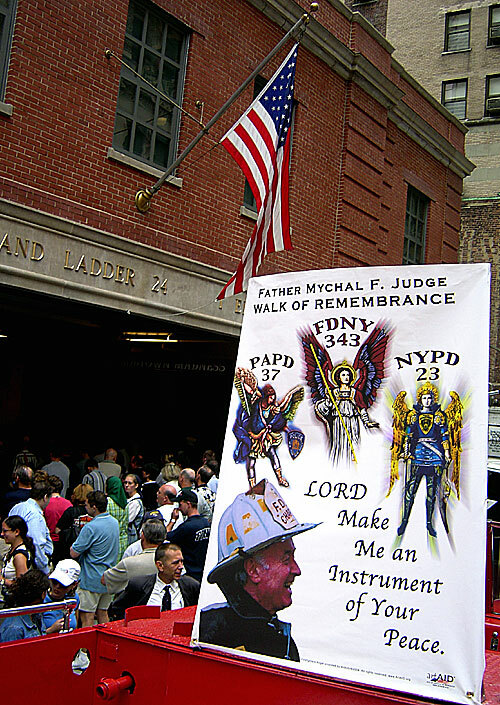 Mychal Judge Walk of Remembrance that started with a moving ceremony at Ladder 24 and traced a path of prayer and remembrance to Ground Zero, stopping aloing the way at firehouses to pay tribute to this beloved Franciscan priest killed on September 11th, 2001. 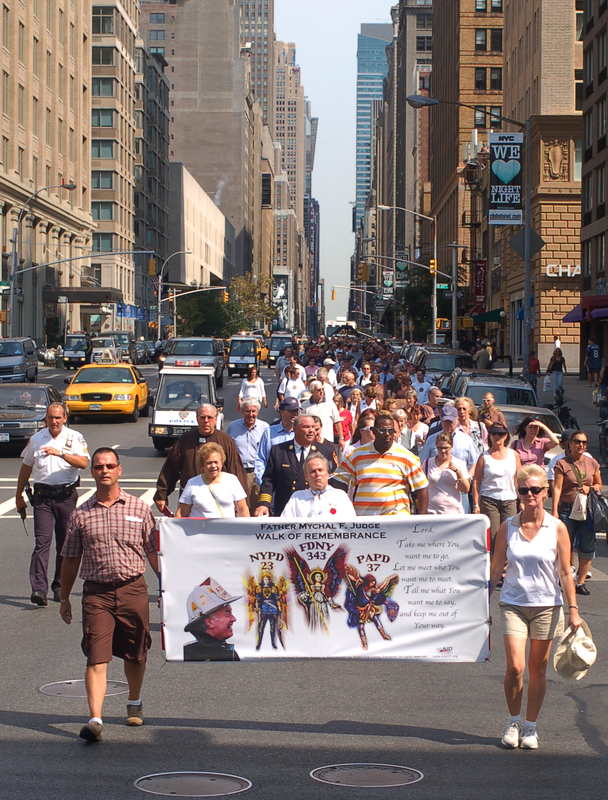 See pictures of the Walk of Remembrance. Sgt. 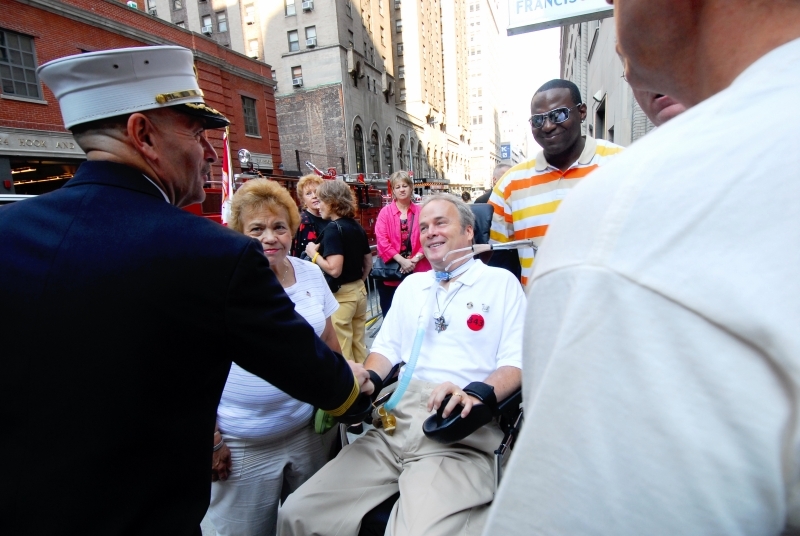 Steven McDonald NYPD is greeted by FDNY Fire Chief. Please go to www.firefamilytransport.org to see more about the great organization that sponsored this blessed event.